Found this really neat photo Christmas / New Years card from 1947. There are two photos (I especially like the Father Time and Baby New Year theme of the first one) with a small attached calendar. You can see the entire card in the short video below. 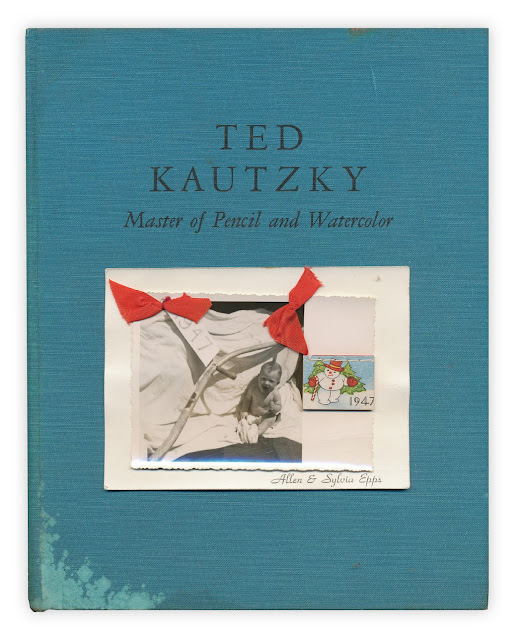 Found in "Ted Kautzky: Master of Pencil and Watercolor" by Charles Kinghan. Published by Reinhold, 1960.